No French Béarnaise sauce is complete without tarragon. The aromatic herb is considered the staple of the classic French herb mix, fines herbes. A member of the sunflower family, tarragon has distinct anise or licorice flavor. It pairs beautifully with seafood, poultry, veal, rabbit, eggs, and most vegetables, particularly those harvested in the spring. Keep in mind that there are three types of tarragon: Russian tarragon, Mexican tarragon, and French tarragon. French tarragon is the most widely used. Unless a recipe specifically calls for Russian or Mexican tarragon, you may assume that French tarragon is required. Don’t let this distinction trip you up. 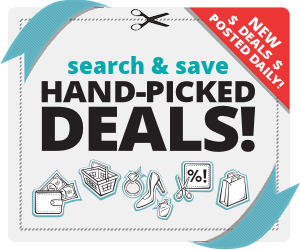 Just Keep in mind that each variety offers different flavor and is typically used in different types of cuisine. If a bunch or bottle doesn’t say whether it is French, Russian or Mexican, then you can assume it’s the French variety. When finding a substitute for tarragon, it is important to consider whether you are using fresh or dried. Ideally, if a recipe calls for fresh tarragon, then you will want to use a fresh herb as a substitute. If the recipe calls for dried tarragon, then you will want to replace it with a dried herb. 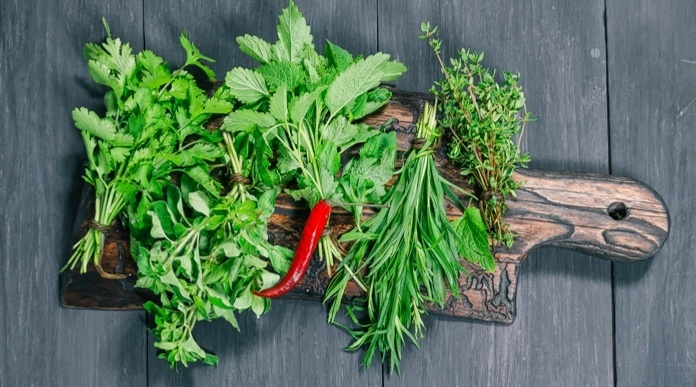 Fresh and dried herbs have very different flavor profiles. They should be added to a dish at different times in the cooking process. Dried herbs typically have deeper, more concentrated flavors. They also have less oil than fresh herbs. If they’re not cooked long enough, then they can present bitter or dusty flavors. Dried herbs should be added during the cooking process. Fresh herbs, on the other hand, should be added towards the end of the process. If cooked too long, fresh herbs can lose their fresh flavors and become bitter. A common rule of thumb is to use a three-to-one ratio when replacing fresh herbs with dried herbs. So, you’d replace three tablespoons of a fresh herb with one tablespoon of a dried herb. Remember, you can always add more, but you can’t take away, so add a little at a time until the flavor is right. If you need to replace tarragon in a recipe, then you may use any of the following herbs as a substitute. Chervil: Most common in France and England, chervil delivers the same licorice flavor as tarragon, only with less intensity. Fennel seeds: A member of the carrot family and one of the main ingredients in absinthe, fennel has intense anise flavors and is an excellent substitute for tarragon. Anise seed: A bit sweeter than tarragon and fennel, anise seed also has a licorice flavor and is an excellent substitute for tarragon. Basil: Although this Italian cuisine staple does not have as intense of a licorice flavor as tarragon, it is a good substitute and will pair well with any food that also pairs well is tarragon. The final flavor of the dish will be a bit different; but, you will not be disappointed. Marjoram: Although it does not taste like tarragon, this sweet and cirtusy herb enhances many of the same flavors as tarragon. It works particularly well as a tarragon substitute in sauces, dressings, and stews. Oregano: “Joy of the Mountain” in Greek, oregano is found in the Greek and Italian mountains. Similar to marjoram in look and flavor, you may use oregano instead of tarragon in the same ways you would use marjoram. Thyme: Like marjoram and oregano, thyme does not have the same flavors as tarragon; however, it does bring out flavors in dishes that often call for tarragon. You can use it as a substitute that will bring a different flavor to dishes while not damaging the deliciousness. Dill: Dill is more intense than tarragon and delivers more bitterness. Use less of it then you would tarragon or any of the other suggested substitutes. Although dill does not have the same licorice flavor as tarragon, it goes well with many of the ingredients often enhanced by tarragon, particularly fish and poultry. 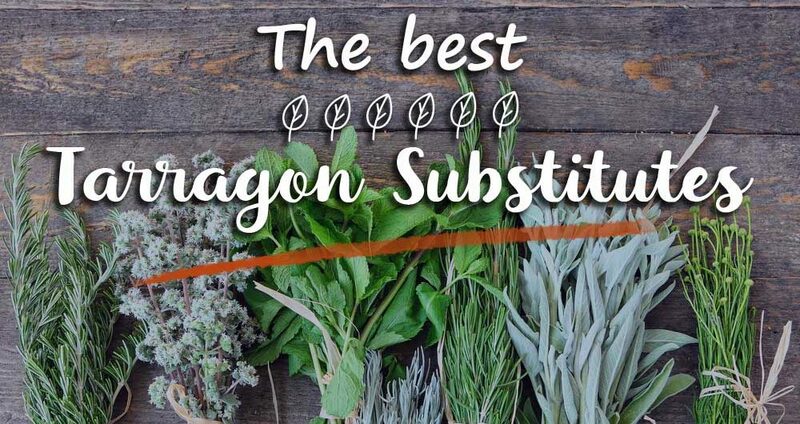 As with anything in life, a substitute is never the same as the original; however, if you use any of the suggested herbs as substitutes for tarragon, you will not be disappointed. 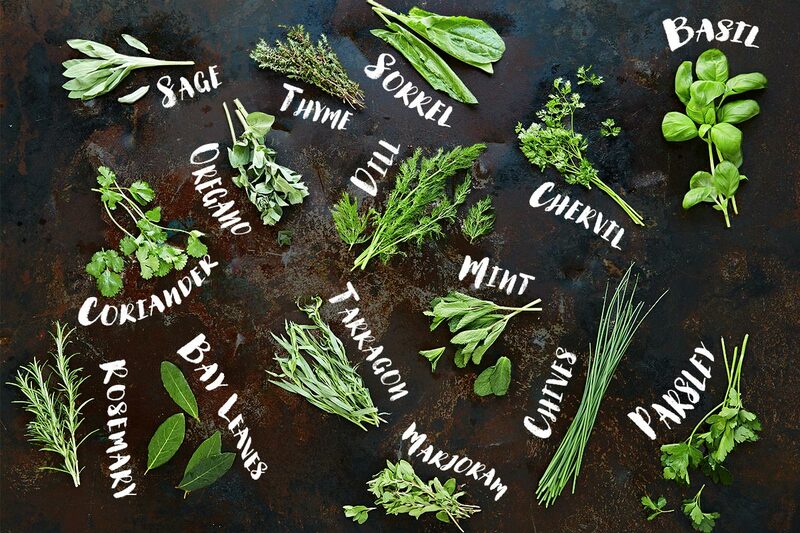 Each herb will complement and enhance the flavors of any dish that calls for tarragon.